One of the key elements of brand development and management that deals with the emotional commitment towards a brand is brand engagement. It is crucial for a brand both internally and externally. Branding consultants suggest implementing robust brand engagement internally as building this type of engagement and getting the employees also engaged in the process enhances strengthening a brand and improving the brand experience for the customers. Brand engagement is all about creating an emotional connection between a brand and people. 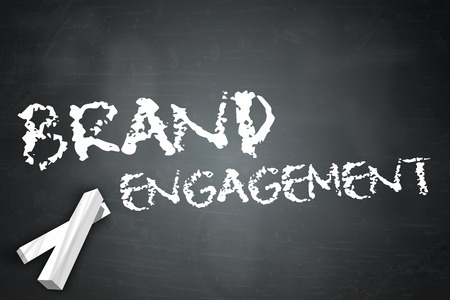 With proper brand engagement, organizations can benefit in various ways. 1.Better customer engagement: The best benefit of implementing brand engagement is improving the customer engagement for the organization which plays a crucial role in the success of a business. Better customer engagement helps in getting more customers, retaining existing customers, and promoting direct feedback from the customers. 2.Employee engagement: Branding firms say, with appropriate brand engagement, even the employees get engaged and engaged employees are found to be more productive in their work and generate good results. 3.Enhanced reputation: A robust brand engagement strategy with a good branding campaign boosts business reputation that will definitely impact the sales and profits of the business. 4.Uniqueness: Brand engagement that is done properly will make the brand and products create a unique place in the market and stand out in the tough competition. Brand engagement can be done efficiently by taking help of corporate branding services professionals if the organization doesn’t have in-house branding professionals. Branding consultants insist on the fact that brand engagement is more than brand awareness and involves loyalty and word-of-mouth marketing. Corporate branding services professionals opine that these days social media is playing an important role in brand development and engagement by providing excellent opportunities to interact and build relationships with customers in newer and better ways. In an age when there are thousands of products available and those many brands, it is easy for products and brands to get lost in the competition. The one factor that binds the customers with a product or brand is the brand engagement without which customers don’t mind to change their preferences. Get the best advice on brand engagement from the best branding firms in the industry to develop an amazing brand engagement strategy to boost your business.